Is it a Cowl or a Shawl? I’ve been having a really fun time lately designing more accessories for you! I hope you’ve all been well and are having a good time crocheting some fabulous projects! At the end of last year, I took part in the Ravelry Indie Design Gift-A-Long (GAL) as both a designer and a crocheting/knitting participant! It was so much fun and I learned a lot!!! 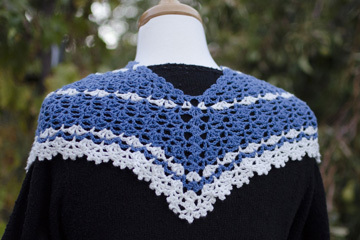 One of the things I noticed in the knit/crochet patterns that were part of the GAL, was some designs that are a hybrid between a cowl and a shawl. 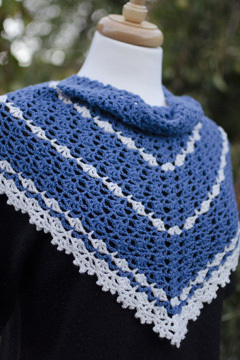 I LOVE this concept and I knit a beautiful shawlette/cowlette during the GAL last year. For the two-color version, I used a portion of 2 skeins of Loops & Threads Woolike yarn from my local Michaels store. This yarn is 85% acrylic and 15% nylon, has 678 yards and costs just $3 (unless you use a discount coupon and get it for even less)! With this many yards, you can make 2 cowlettes with just 2 skeins total! This yarn has lots of bounce, too! Of course, you can use any yarn of the same weight that you desire for your cowlette! 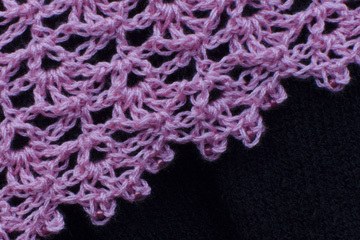 You can purchase the Cozy Cowlette pattern for just $4.95 here. I hope you’re enjoying the change in weather and are looking forward to crocheting some new accessories for Fall and Winter this year! I love the fun crochet accessories that can be made and worn during the cooler times of the year!!! 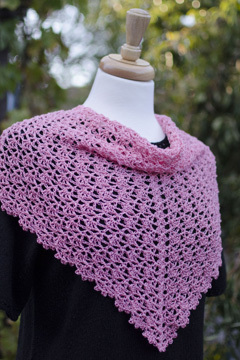 This entry was posted in Crochet accessories, Crochet cowl, Crochet designs, Crochet patterns and tagged crochet cowl, crochet patterns. Bookmark the permalink.